Interesting to taste this up against a varied squad of Cabernet competitors. A surprisingly marginal wine to be honest, reflecting in this wine’s variable reputation. The Plantagenet Shiraz gets all the plaudits, but when its good, this is by far the more enjoyable wine. Again, it’s deep purple/red coloured, the nose a triumph of leafy hints, squished currants, blackberry, leathery and some mint. Proper varietal, but ripe too. There’s a genuineness to the palate here which suggests the acid is all natural (be gone excess tartaric additions!) and that carries a welcome subtlety. Still, there is an awkwardness here, the flavours teetering between ultra varietal dry, leafy and pencilly then falling over into diffuse, slight overripe jammy warmth. 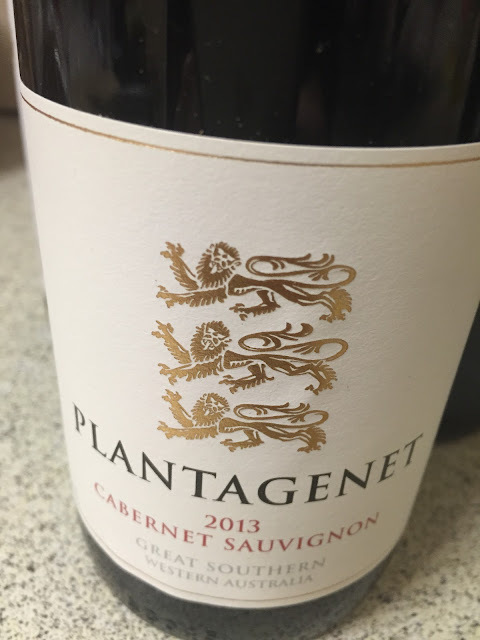 It’s an annoyance for a wine that has so much quality Great Southern Cabernet DNA and a hint that Cabernet might be a challenge to get right in the Plantagenet vineyard. Much to like, but a just slightly unbalanced wine underneath. Yet its long though. Long and will probably impress in years to come. Drink: 2015-2030. 17.7/20, 92/100. Would I buy it? Not quite. I’d like to see it as an older wine though, if just for interests sake.